Unfinished bottle of bubbly after the big party? No problem! 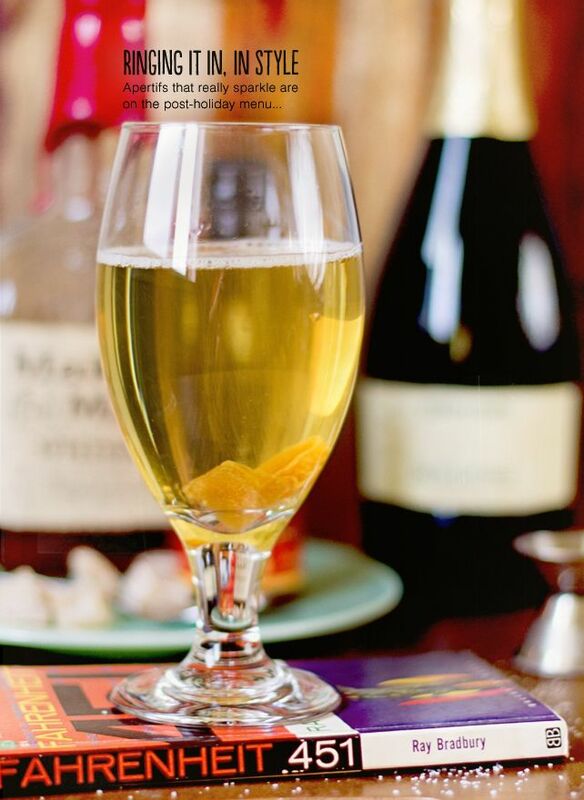 Stick a spoon in it and refrigerate it — the effervescence will keep and you can use it to make fancy day-after apertifs like the Mulled Apple Cider Mimosa pictured above. Soak two cubes of candied ginger in orange bitters and drop them into a champagne glass. Add one ounce bourbon, two ounces mulled apple cider that has been cooled to room temperature (I like to make my own by juicing apples and then heating the raw juice over the stove with spices), and top glass with Champagne or other sparkling wine. Style tip: Using vintage books as cocktail coasters, a la Stumptown Coffee's Duane Sorenson, is a sure way to turn heads!